What is an Intertribal Pow Wow? What is the difference between a Pow Wow and Santa Fe Days? What is a Native American Indian ceremony? Should there be a cost for Native ceremonies? Do Native people smoke peyote in their peace pipes? The Indigenous Institute of the Americas is a 501 (C) 3 nonprofit organization located in Plano, Texas. Our all volunteer Council, Advisors, Elders, Youth and International Ambassadors are Indigenous people representing North and South America or have a deep conviction to learning about and preserving our history and life ways. Our Council is dedicated to collecting, preserving and disseminating accurate information about the diversity and similarities of our cultures. Our organization is recognized for its family interactive learning programs. THE Santa Fe Days in the Park event brings in over 8,000 visitors from the 4 state area. we have over 70 outstanding Native American Indian artists reflecting Tribal Nations from across United States. NATIVE American Indian Artist registration, volunteer opportunities, food vendor applications and Community Partners/ Donors can contact us by email, Facebook at Santafedays, Facebook at IIAmericas, or phone. 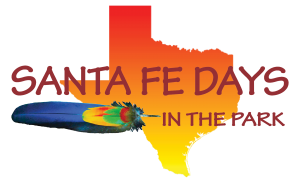 OUR Santa Fe Days annual event provides our organization with the opportunity to bring our Purpose, Mission and Vision together so that the entire community can learn about our culture in fun creative ways.